Seating: 970 total, 570 covered (320 home straight, 250 back straight), 400 uncovered. All capacities are approximate. The track is inside the part of RAF Alconbury which is used by the US Air Force and is in good condition. It is actually about 6.5 standard lanes wide all round and is thought to be 440 yards. The back straight is slightly longer than 220y to allow for 200m/220y races. 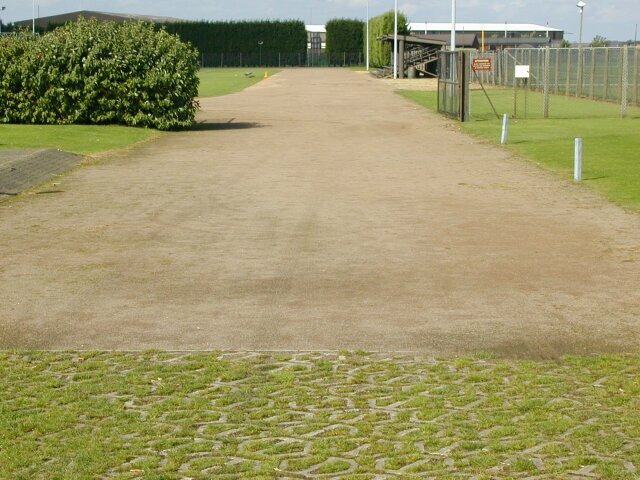 The grass infield is used for football or American football.